Like Ant-Man and The Wasp or Ja Rule and Ashanti, there are some duos that are just destined to work in perfect harmony. 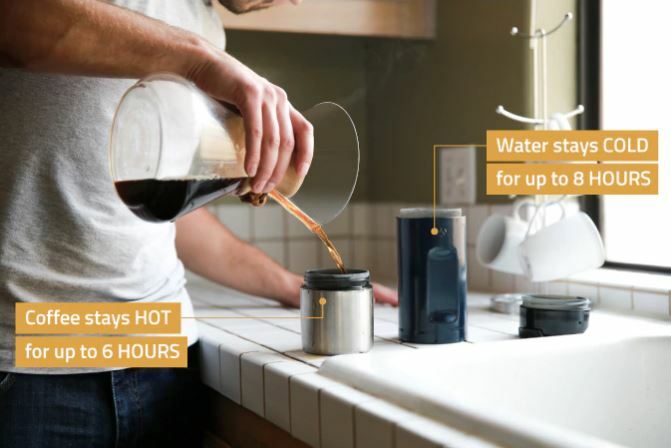 While coffee and water used to need their own respective carrying vessels, they are finally getting a joint venture through a Kickstarter campaign called H2Joe . The H2Joe bottles let you carry around 12 ounces of water AND 12 ounces of coffee at the same time. The unique flask works by keeping the two liquids in different compartments and two separate spouts, all on the same lid. That means the coffee is being stored at the bottom of the traveler, flowing through its own path, and coming out of its own corresponding spout. Same with the water. "One of our main goals with H2Joe was to help combat chronic dehydration... without having to sacrifice coffee," co-founder John Anthony said. "When we designed H2Joe, we wanted it to be easy to transport in one hand and have a natural feel." 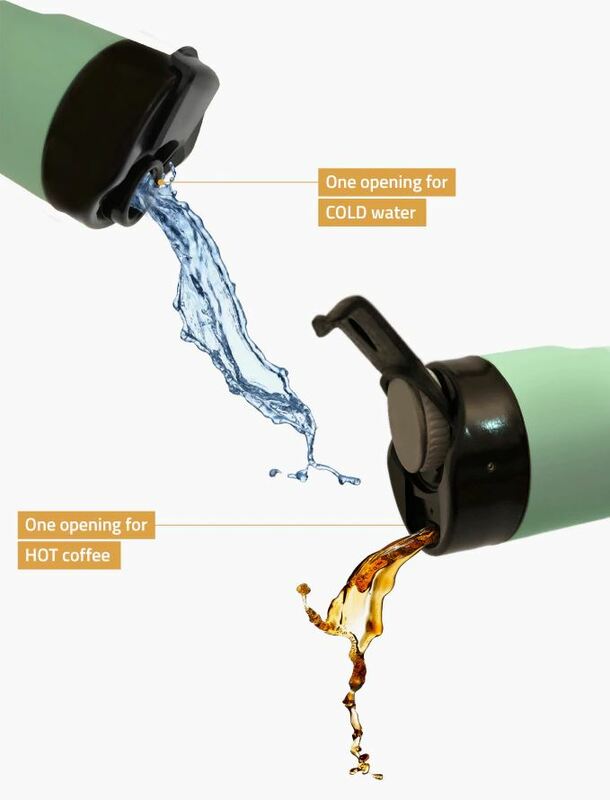 The leak-proof compartments are described as a, "double-walled coffee chamber," and a "triple-walled water chamber," which means your coffee won't get cold for at least six hours, and your water won't get warm for at least eight hours. This is extremely convenient for busy folks who usually carry around two bottles. You know who you are. The bottle's starting Kickstarter pledge price for the first 24 hours is $34, which will go up to $49 thereafter. The campaign funding goal of $20,000, set to end March 13.